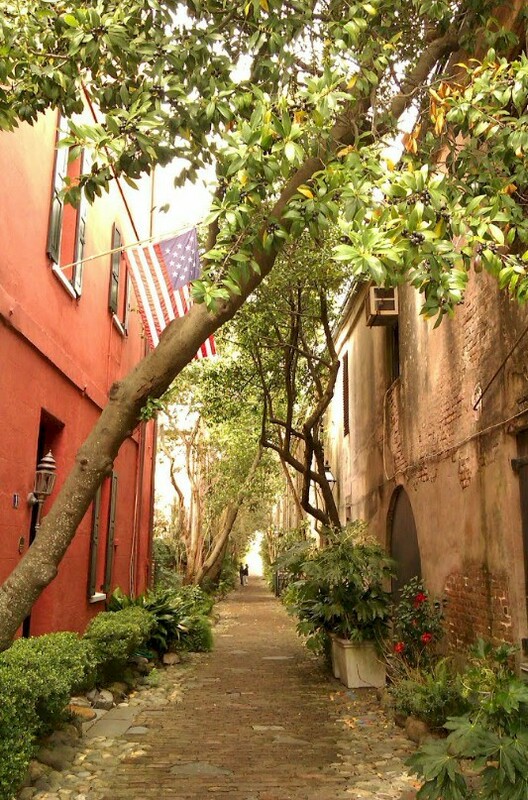 When strolling through the streets of Charleston’s Historic district, it’s easy to feel as though you’ve stepped backward in time. And there is no place where that is more true than in Philadelphia Alley. Philadelphia Alley is a secluded, one-block stretch nestled between Church Street and State Street. Originally named “Cow Alley” (probably because it was occupied mainly by livestock), Francis Kinloch widened it a bit in 1766, and renamed it “Kinloch Court,” as it ran through his property, adjoining Cumberland and Queen Streets. 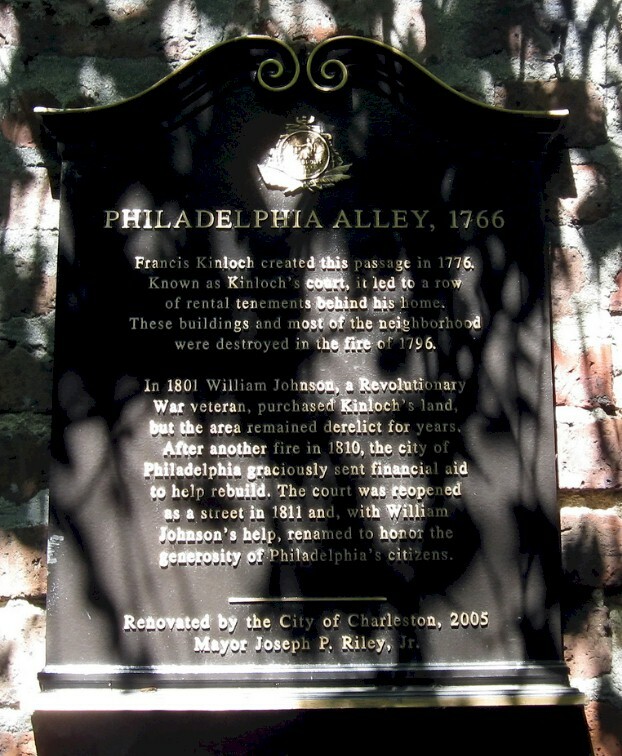 Then in 1811, Charleston native and U.S. Supreme Court Justice, William Johnson renamed it “Philadelphia Alley” in honor of the aid received by the city of Philadelphia in the wake of a fire in 1810. Locals, though, refer to it as Dueler’s Alley. The practice of dueling dates back to medieval times. 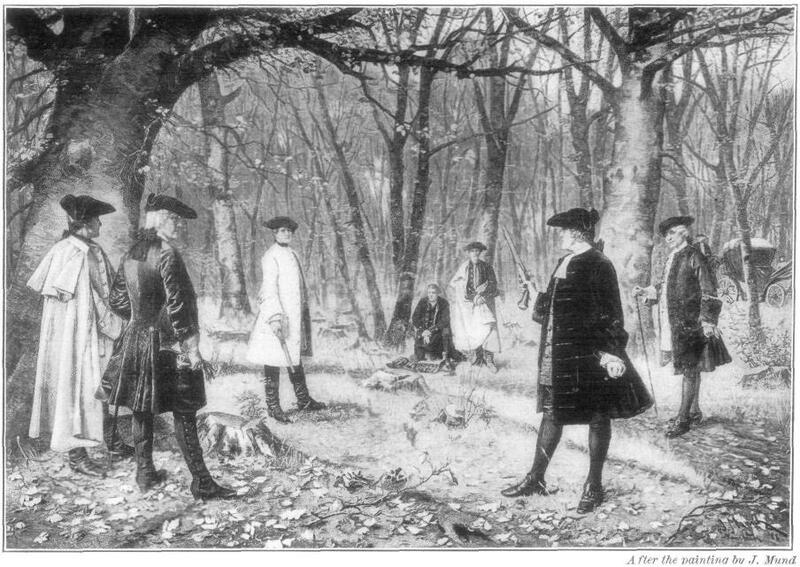 Most of us have likely heard the story of the famous 1804 duel in which Alexander Hamilton, the first U.S. Secretary of the Treasury, was mortally wounded by then-U.S. Vice President, Aaron Burr. 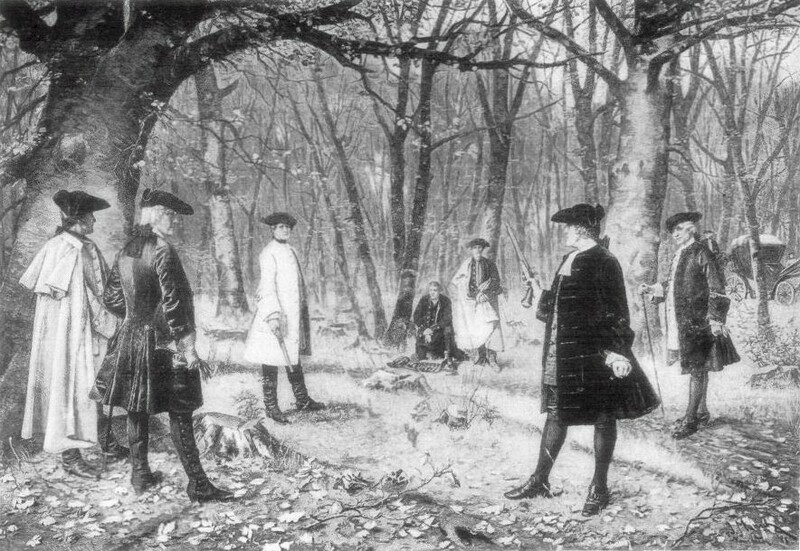 We may even regard dueling as a “fight to the death.” But dueling wasn’t really about killing—killing was incidental. It was about chivalry and honor. A man willing to participate in a duel was seen as one who was willing to die for his honor. In fact, not participating in a duel after having been publicly insulted would have taken a serious toll on a man’s reputation. Today, most of us would probably consider dueling to be a barbaric and largely ineffective way for two men to settle their differences. 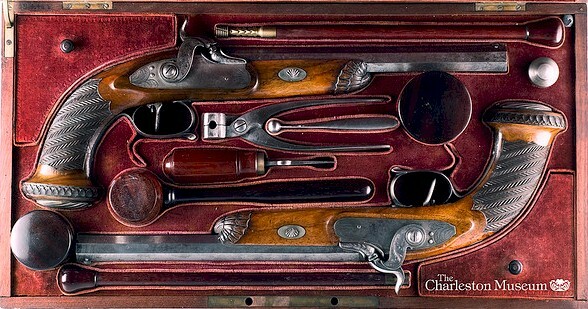 However, until 1881, dueling was legal, even celebrated, in Charleston. Duels in Charleston followed the Code Duello, a set of 25 rules set forth in 1777 by the Irish. Within the city, duelers took to what is now Philadelphia Alley. It was the perfect place, really, due to its high walls on either side and limited access at the ends. On one side of the alley, there was even a cutout in the wall that led straight to the graveyard at St. Philip’s Church. You know what they say: location, location, location. Joseph Brown Ladd wasn’t a native Charlestonian. Born near Newport, Rhode Island in 1764, Ladd was the son of a farmer. He whistled while working the fields under his father’s supervision, but he was a daydreamer who was most interested in the fine arts. He dreamed of using his mind, not his hands, to make his way in life—which caused much conflict and resulted in a rather turbulent relationship between father and son. Joseph’s father, William Ladd, simply didn’t understand his son, and often reprimanded Joseph for his love of poetry, art, and his incessant whistling. But the elder Ladd loved his son, and soon recognized that Joseph was just miserable on the farm in Rhode Island. William Ladd, fearing his son would leave, allowed Joseph to spend more time pursuing his intellectual interests at the Redwood Library in Newport. It was at the library that Joseph met his true love, Amanda. Not much is known about Amanda. We do know, though, that Joseph would spend hours with her, writing poetry for her and professing his love. After several weeks, he explained to his father that he was serious about Amanda, and wanted to marry her, but did not know how to first establish himself. William Ladd referred Joseph to family friend and physician, Dr. Isaac Senter. Joseph apprenticed with Dr. Senter, and, soon after, was well on his way to becoming a doctor, himself. He and Amanda discussed marriage, but Joseph wanted to wait until he was an established doctor so that he could provide for a family. Amanda, an orphan of wealthy parents, explained that waiting wasn’t necessary—all of her family’s money belonged to her. Convinced, Joseph called upon Amanda’s guardian, an unscrupulous lawyer who managed Amanda’s finances. The lawyer, knowing he would lose his comfortable stipend if Amanda married, turned Joseph away. If that wasn’t bad enough, he began a ruthless smear campaign against Joseph, and told everyone who would listen that Joseph was a scoundrel with designs to get his hands on the poor orphan’s money. As the poisonous gossip spread, the people of Newport began acting differently toward Joseph. They avoided eye-contact, and whispered behind his back…and it began to affect Dr. Senter’s practice. Dr. Senter finally pulled Joseph aside and explained the situation. He knew Amanda’s guardian was slandering his apprentice, but because Joseph hadn’t waited until he had gotten himself established, public perception of him was tarnished, and the lawyer’s story was easy to believe. The solution? Joseph had to leave town and see himself established elsewhere. Dr. Joseph Brown Ladd arrived in Charleston in October of 1783. Dr. Senter, an acquaintance of Revolutionary General Nathaniel Greene, had leveraged his relationship with the general to secure a residence for his apprentice. Charleston, depleted of medical professionals due to the Revolutionary War, was a good place for a young doctor to begin. Stepping off the carriage, he beamed with hope and whistled a happy tune. He was dirty and tired from the trip, and he wanted to clean up before presenting himself to his new landladies, Fannie and Dellie Rose, at 59 Church Street. Finding a few less-than-upstanding men on the street, the naïve, young doctor asked for directions to a nearby inn. The men, spotting an easy mark, directed the new doctor to a tavern on Meeting Street, notorious for its unsavory clientele. Fortunately, Ralph Isaacs was nearby and intervened when he overheard the con, saving Joseph from certain robbery and, perhaps, murder. Joseph and Ralph Isaacs became good friends. Joseph was able to quickly establish himself as a prominent new doctor in Charleston. His landladies adored him. They looked forward to his cheerful whistling as he was dressing in the morning, when he’d return home in the evening, and during the long hours he’d spend in his room—always whistling—and writing poetry for his beloved, Amanda. He told them animated stories of his life in Newport, and of his dear love, Amanda. 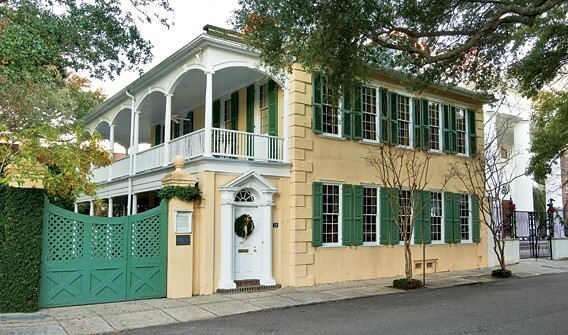 He confided to them, and only them, his troubles with Amanda’s guardian, and his true reason for moving to Charleston. Dr. Ladd was charming…and funny. He was genuine and well-liked by all who met him. As his popularity grew, his social status grew….and so did Ralph Isaacs’ resentment. Isaacs began to make biting comments to Joseph, telling the doctor that he was “too important now” to spend time with Isaacs. But Joseph was a cheerful sort, who had no desire to alienate his friend. He introduced Isaacs to members of Charleston’s high society. He invited Isaacs to social gatherings, and tried to include him, whenever possible. But Isaacs, as is sometimes the case, was more comfortable on the outside of things. He desperately longed for the social status that Joseph had, but was uncomfortable once he got it. 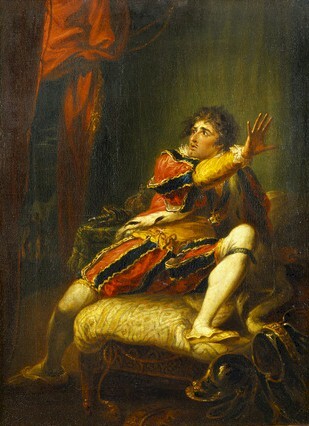 Things came to a head in 1786, when both men attended a production of Shakespeare’s Richard III. Dr. Ladd saw the show from a luxurious box, while Isaacs sat in the stuffy commoner’s section. As the two men walked together after the show, Isaacs picked a fight about one of the actresses. Isaacs thought she was terrible, whereas Dr. Ladd defended her youth and inexperience. Isaacs, accusing Ladd of an infatuation with the actress, threatened to write to Joseph’s true love, Amanda, detailing a sordid, if manufactured, relationship. Joseph, no doubt, felt angry and hurt by his friend’s invidious intentions. Rather than get into a brawl—and Isaacs would have liked nothing more—Joseph simply stuck out his hand to bid Ralph Isaacs good night. Isaacs only spat and turned away from his friend. Joseph, again faced with defending his reputation and honor, agonized over the dilemma. All he wanted was to make his way in his new hometown, buy a sliver of the earth to call home, and raise a family with Amanda. But Isaacs had insulted his honor, friends told him. They told him that he couldn’t run and start over…again…somewhere else. Nor did he want to. And, in Charleston, friends told him, matters of honor were settled with a duel. No duel, they said, was evidence of cowardice, and showed that Dr. Ladd lacked character, honor, and integrity. So, under heavy social pressure, Joseph reluctantly challenged Ralph Isaacs to a duel. The night before, Joseph wrote to Amanda. He was filled with anxiety and dread, telling her, “…friendly death may soon relieve my pain.” The night was short. Before he knew it, dawn approached, and a soft knock on his door cemented the reality of what was about to happen. The Rose sisters walked with Joseph onto Church Street, where his friends met him, and accompanied him the rest of the way to Dueler’s Alley. As the duel began and Joseph commenced his 21 paces, his mind likely wandered to Amanda…and all of the possibilities of a happy life. As he reached his 21st step, he turned and intentionally fired wide of his target, still hopeful that his life—and the life of his friend—could be salvaged. Isaacs, however, had no such thoughts. He carefully took aim, and fired. Joseph’s friends carried him the few blocks back to the second floor of 59 Church Street, where he suffered for 10 days before finally succumbing to his injuries. He was 22 years old. Today, Philadelphia Alley is still known as Dueler’s Alley. 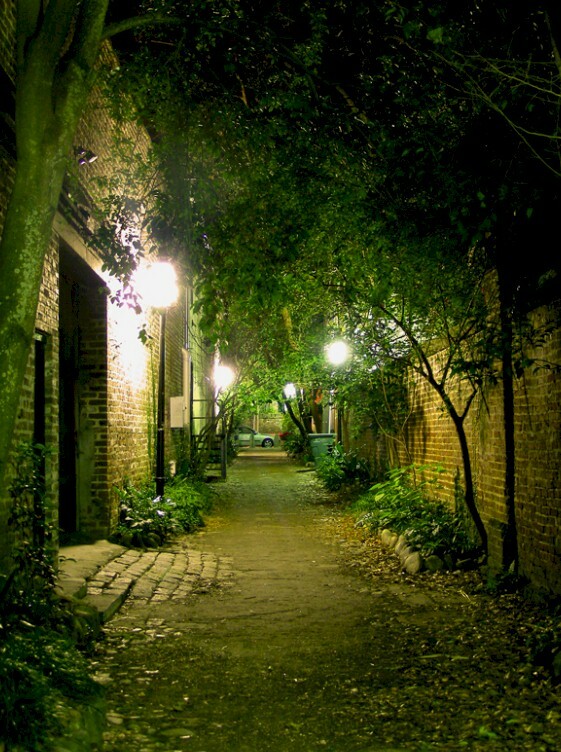 Many ghost tours stop in the alley and recount the story of Dr. Joseph Brown Ladd. 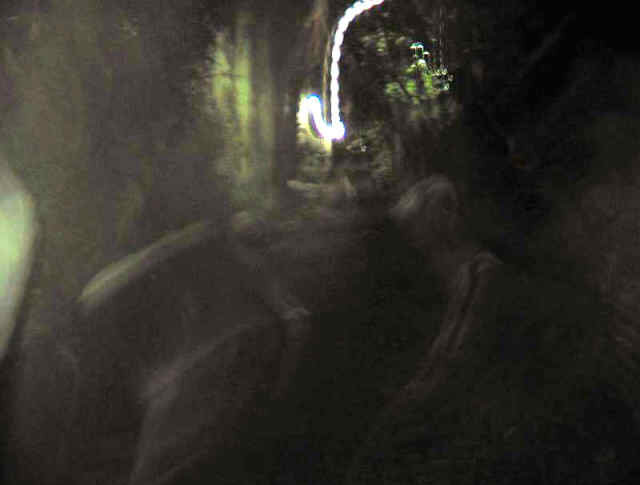 Visitors have reported ghostly activity—from unexplained mist to the sounds of gunshots. Some have reported being nudged out of the way of invisible gunfire. Many have heard the young doctor’s happy whistling all the way down the alley, and even in the house at 59 Church Street, which is now a private residence. Another interesting tidbit: Joseph Brown Ladd’s sister, Elizabeth Haskins, gathered her brother’s writings, and published The Literary Remains of Joseph Brown Ladd, M.D. in 1832. Ms. Haskins wrote the dedication, and a sketch of Ladd’s life is included. It’s a fascinating read. ~ by scareschs on April 30, 2012.